TORONTO, Jan. 14, 2019 /CNW/ - Havilah Mining Corporation ("Havilah" or the "Company" - TSXV: HMC) is pleased to announce the appointment of Ron Clayton as President and Chief Executive Officer of the Company, effective January 15, 2019. Mr. Clayton replaces Blair Schultz, who stepped in and led the Company since his appointment on June 29, 2018. Mr. Schultz will remain as the Chairman of the Board of Directors of the Company. Mr. Clayton has over 38 years of experience in the mining industry. Over his career, he has successfully guided companies through the mining company life cycle, including advanced stage exploration, development, construction and mining. He was recently the President, Chief Executive Officer and Director of Tahoe Resources, retiring on June 15, 2018. During Mr. Clayton's tenure at Tahoe Resources, he oversaw the permitting, construction and start-up of their core asset, the Escobal Mine in Guatemala, and was integral to their advancements in both Peru and Canada. Prior to joining Tahoe, he was Senior Vice President, Operations, and the General Manager of several underground mines for Hecla Mining Company. He also held the position of Vice President, Operations with Stillwater Mining Company and a number of engineering and operations management positions with Climax Molybdenum Company and Homestake Mining Company. Mr. Clayton earned his Bachelor of Science Degree in Mining Engineering from the Colorado School of Mines and is a graduate of the Tuck School of Business Executive Program at Dartmouth College. "We are very pleased that Ron has accepted the role of President and CEO," stated Blair Schultz, Chair of the Board of Havilah and current interim President and CEO. "His extensive experience in the gold sector and operational background will be of tremendous benefit, and his proven track record of developing projects and producing results will be invaluable as we advance the Company's corporate strategy." "I am excited to be a part of what I envision to be a robust growth period for Havilah and look forward to leading the Company through this transformational stage" stated Mr. Clayton. 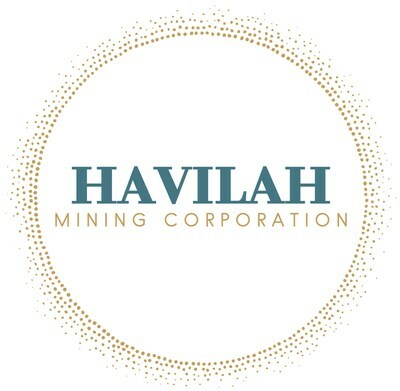 "From what I have seen, there are significant opportunities to expand the existing resources at Havilah, optimize current operations, and create value for our shareholders through a disciplined approach to both growth and productivity enhancement." In connection with Mr. Clayton being appointed as President and CEO, he has been granted 400,000 options to purchase common shares of the Company pursuant to the Company's Share Option Plan. Such options have an exercise price of $0.31 per common share and expire on January 15, 2024. The options vest as to one-third immediately and one-third after the first and second anniversaries of the date of grant. Mr. Clayton has also been granted 500,000 restricted share units ("RSU"), to vest one-third upon approval of the Company's shareholders of the RSU plan at the Annual General Meeting and one-third after the first and second anniversaries from the effective date of his appointment. The Company is also pleased to announce that Shaun Heinrichs, Interim Chief Financial Officer, will continue as the Company's Chief Financial Officer. Mr. Heinrichs has been involved with the Company since the spin out from Klondex Mines earlier in 2018, and has been a key part of the transition team since that time. Mr. Heinrichs has over 20 years of experience, primarily in the mining industry, working mostly with Canadian and US publicly listed companies at various stages of development, including early stage exploration to underground producing mines. Neither the TSXV nor its Regulatory Services Provider (as that term is defined in the policies of the TSXV) accepts responsibility for the adequacy or accuracy of this news release.